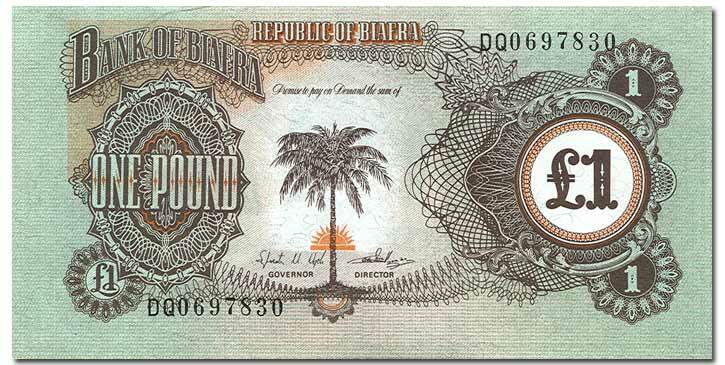 In the history of international finance, few terms have inspired such tepid confidence as “Bank of Biafra.” Even the country went out of business. The bill feels cheap; the names of the officials are uninspired (“Governor” is okay, but “Director”? Did Biafra have a Best Boy or Key Grip as well?”) and the serial number suspiciously high for such a young country. Kudos for calling it the Pound, though, and not the Biaf.